Notes: 1850 - 1961. 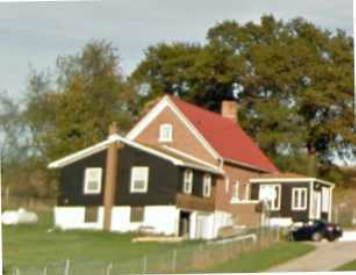 The first school in the Perry Norwegian settlement was built of logs in the 1850. 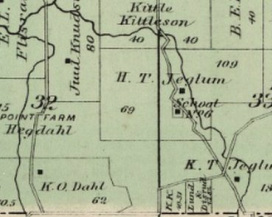 Located on the Torger Skartum farm. It was, at first, called the Skartum School. Sarah Wildeman was the first teacher. In 1876 a second school was built on Helge Jeglum’s farm and called the Jeglum School. It was a few hundred yards northwest of the site of the Skartum School. Alma Holsten was the teacher from 1897 - 1901 when the Jeglum School closed. 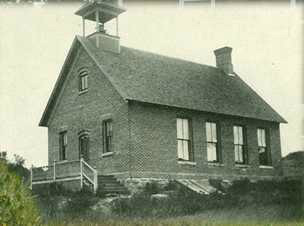 A third brick school was built on the farm just north of Helge Jeglum’s farm and renamed Meadow View School. This school was operated until the Spring of 1961 when it closed. Margaret Lee was the last teacher. It was converted some time later to a residence which it remains today, 113 years after it was built. It is located at 188 Highway 78 in the SW corner of Perry Township.